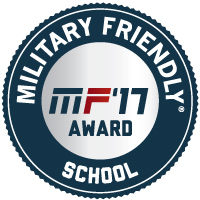 Southern Illinois University Edwardsville has been designated a 2017 Military Friendly® School by Victory Media, the leader in successfully connecting the military and civilian worlds. SIUE attained the designation for the eighth-consecutive year. The Military Friendly® Schools designation is awarded to the top colleges, universities, community colleges and trade schools in the country that are doing the most to embrace military students, and to dedicate resources to ensure their success both in the classroom and after graduation. The methodology used for making the Military Friendly® Schools list has changed the student veteran landscape to one that is much more transparent, and has played a significant role over the past eight years in capturing and advancing best practices to support military students across the country. In addition, data was independently tested by Ernst & Young based upon the weightings and methodology established by Victory Media with guidance from an independent advisory board of higher education and recruiting professionals. SIUE will be showcased along with other 2017 Military Friendly® Schools in the December issue of G.I. Jobs® and in the annual Guide to Military Friendly® Schools. Find more about Military Friendly® ratings, methodology and awards at militaryfriendly.com.